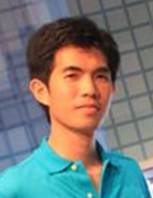 Speaker: Tan Xian Yi, Software Manager, Recogine Technology Sdn. Bhd. Venue: SE105, FES, UTAR KL campus, Setapak, Kuala Lumpur. In this talk, Tan Xian Yi, an alumnus of UTAR, will share the alternative path he has chosen to be a technopreneur. He joined a start-up technology company after his graduation, and grow together with the company till today. Throughout these years, his innovative and creative ideas have being realized and implemented in real world applications. He’s now the software manager of the organization and was involved in a lots of nation-wide critical infrastructure projects. In this talk, he will share his experience working in the technology start-up environment. Xian Yi has 7 years of experience in ICT field for Infrastructure industry. He joined Recogine Technology Sdn Bhd, a start-up technology-based company in 2005 as a Software Engineer and is now holding the position as Software Manager. Throughout the years, Xian Yi involved in computer vision R&D activities, software design & development, networking, IT infrastructure, system engineering, project management and etc. With his experience and knowledge, he has designed an innovative system platform named UNIVEMS for the ease of software development and deployment. He has also initiated a Computer Vision-based R&D project – RecoTraffic. As technology applies for infrastructure industry is converging to ICT-based, he believes, ICT experts will play an important role in this industry. Bravo! Xian Yi is my ex-colleague and we been working together for years and multiple project. He has proven to have skill of knowledge and great leadership by leading Recogine Tech team. Congratulation for your achievement so far, my friend!